Thanks Shruti Sethi for this transmission. Stay blessed..
Guruma then started discussing the bhajan mentioned above. One day we all have to leave this body. It is upto us how we use this time. One can ruin this human life in crying or cribbing or complaining or wasting the time in nonessential activities. There are many ways to waste this life. How one uses this human body will determine where will one be after leaving this body - whether there will be promotion or demotion. 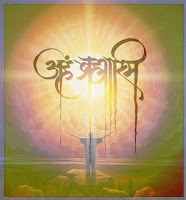 She added Babaji says “Tumhara janam dhanvaan banne ke liye nahi hua, tumahara janam Bhagwan banne ke liye hua hai” (you have not incarnated as a human being to become rich, but you have incarnated to become God. Babaji also adds that this doesn’t mean you leave your work and sit under the tree and have food in langars). All of us try to become something eg. dhanvaan, balvaan, shrimaan, etc. Lets consider them one by one. Dhanvaan - one who is rich. If one keeps on accumulating wealth, will this go with you when you leave this body? No, there is no way such thing can happen. Balvaan – one who is physically very strong. A person might spend a lot of time on the physical body, but eventually you have to leave this body. Shrimaan – one who is respected and has name and fame in his life. But will this name go with you. It cannot. If you take another birth no one knows what will be your name/position in the next life. Now, lets consider a person who has become God. He will automatically have all above mentioned things in his life. Focus on becoming God and other things shall follow. But how to become God? 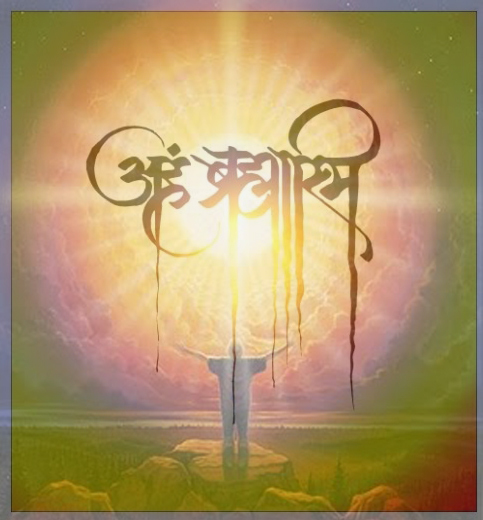 Just by reading books or listening that I’m God (Aham Brahmasmi) won’t make you God. If by this knowledge, you think you have become God and you think that I’m God and all others are not and they are under me, then your journey from human to God has not even started. If one is on the path (i.e. meditating and doing selfless service) and starts seeing God in everyone, then it’s an indication that you are moving in the right direction. All of us have come from one source and all are same. There no one is superior and no one is inferior. Guruma also said that in every yug there is a way to reach God and in kalyug the way is Daan. Now what is Daan? It literally means giving something without expecting anything in return. It is generally understood as giving money to someone. Guruma clarified this. Daan can be in many forms – dhan daan (donating money), Shram daan (donating your labour), maan daan (giving respect to others) and prem daan (giving unconditional love to others). So you don’t have to be rich to do daan. Heard babaji saying in one of the raipur shivir episodes – whatever good things you have in your life are because you are spending your bank balance (past good karmas). You need to create more bank balance for future by doing good karmas in present. Think how much time and money do you spend for selfless service. This is what will create bank balance, and in kalyug interest rates are very high. So a little seva increases your bank balance manifolds. Babaji also emphasized on the importance on collective prayers. It creates a lot of positive energy and is very much needed at this time. The one who is a part of collective prayers, the natural calamities never impact such person. Guruma also reminded that what we see in the outside world is just a reflection of our inside. In reality we all are God, its just that there is a lot of dust (dust of our karmas). Once the dust is gone what is left is God. What we see in the outside world is just the reflection of the inner world. So if I have to change my outer world I need to change my inner world by cleaning the dust. 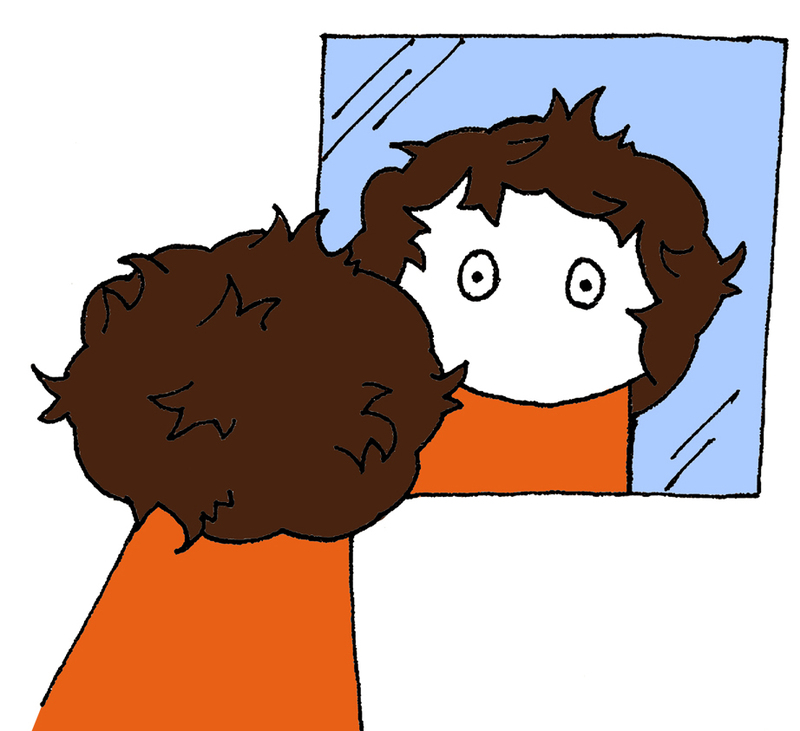 It's like this - if a person who has scattered hair stands in front of the mirror he sees the reflection of scattered hair. 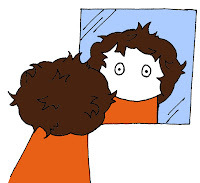 The person can’t comb the hair of the reflection in the mirror. But if he combs his hair the reflection will automatically change. The reflection in the mirror is the outer world and the person standing in front of the mirror is the inner world. Therefore, it is important to change yourself than trying to change the outer world. After the discourse, Didi who takes lead in sankirtan sang “tu kitni achhi hai, tu kitni pyaari hai.. ooo maaaaaa” for Guruma. Guruma gave her blessings to everyone. Disclaimer: This article is written to share the major happenings in DLF ashram on 8th May 2011. Babaji says that you will listen according to your own perception and level of consciousness. Therefore, in writing this article my understanding and perceptions do come into play. Namah Shivay!!! Many thanks to both of you for your divine seva.. Thanks for the message.